PC Matic recently conducted a study on the number of PCs that are currently running without the protection of an anti-virus (AV) solution. A total of 35,609 were scanned for security protection. Out of those, the results were broken down based on operating system. 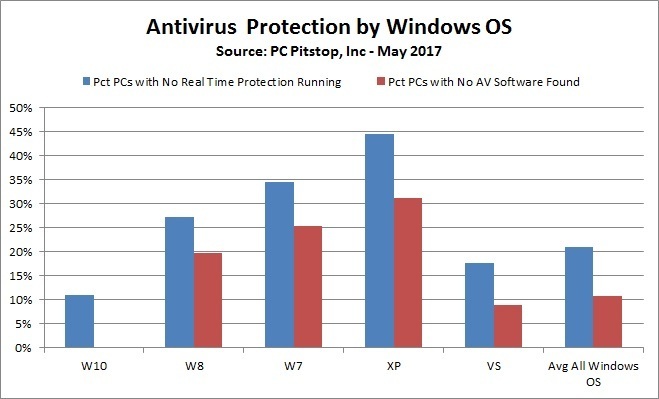 Looking at the graph above, one can see, 11% of the PCs using Windows 10 are not running an AV with real-time protection. Since Microsoft has integrated the Windows Defender Antivirus into the Windows 10 operating system, we made the assumption that all of Windows 10 systems had an AV installed. Windows 10, out of the box, has Defender as the AV. It is designed to stay on until another AV is installed. However, for these 11% of PCs in our analysis, Windows Defender was not found to be executing in real time. This begs the question – do the device users know they’re unprotected? Looking at the Windows 7 data, 35% of scanned PCs did not have an AV with real-time protection. Twenty-five percent of those, did not have a security solution installed. Almost half of the Windows XP PCs scanned, did not have real-time AV protection. Out of the 45% of which that did not have real-time protection, 31% do not have an AV installed on their PC. Until this point, there was a trend – the older the operating system, the higher the likelihood of not having an AV installed. However, Vista goes against the grain. Out of the Vista PCs tested, only 18% did not have real-time protection, and half of those did not have an AV installed at all. In a time where cyber security has never been a bigger threat, knowing 20.9% of all scanned PCs are not running real-time AV protection is concerning, to say the least. These numbers lead to various speculations, one of which being, are the computer users aware that their current AV does not have real-time protection? Do they know they don’t have an AV installed on their computer? Perhaps they’re under the assumption the free trial that came with their PC is still active. We don’t know. What we do know is one out of five PCs tested are not protected with a real-time security solution. We know that one out of ten PCs scanned have no security protection what-so-ever. Some users believe they’re too smart to get infected. This may be partially true. Some users can spot a malicious scam a mile away. But what about the malicious ads or phishing emails that don’t even have to be open or clicked on to begin their malicious activity? What then? Spoiler alert – they get infected because they either don’t have a security solution, or they don’t have one that is functioning in real-time. Is the license still active? 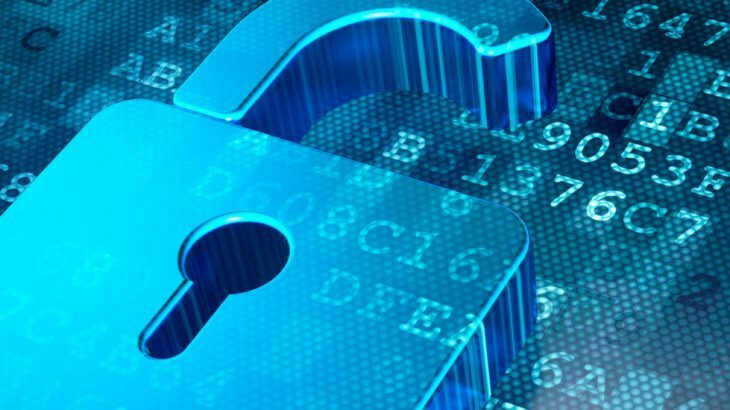 If your security solution has expired, you can purchase a real-time security solution, with application whitelisting technology here. TechTalk Slider, tips A/V, anti-virus, pc matic, real-time protection. permalink.